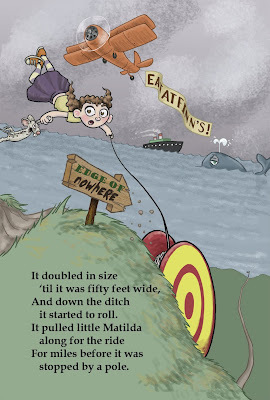 Dispatches from the Island: Matilda Turnip Coming Soon! 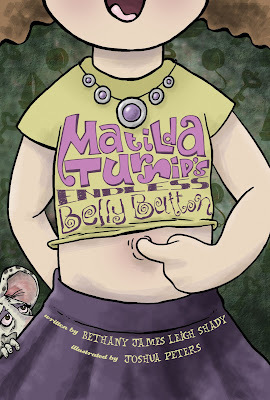 Beth's book, Matilda Turnip's Endless Belly Button is now available for pre-order at Amazon.com. Learn more about it here (click). 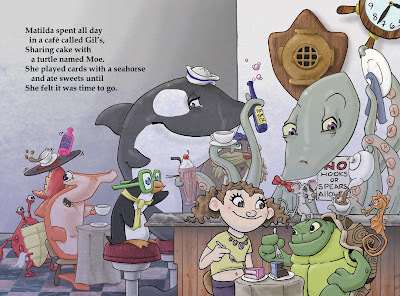 I love that in the book there is a mouse that is her friend... after watching all those videos of her freaking out at the rat in your house! I've already preordered this little goodie. I am excited to read it to my little monst..er/uh..munchkins. Cute! Congrats on a book Beth! Will your next one be about cute little mice running through the house? Great illustrations! 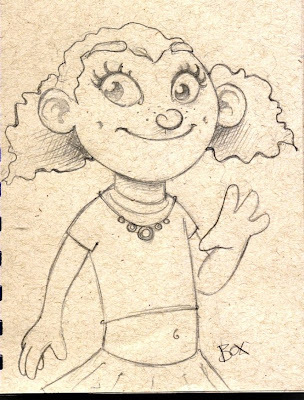 The littel girl reminds me of Lilo & Stich for some reason - especially that last pic. Nice of her to include your new house rat in her book. Although I didn't see spots on your rat. Hmm... maybe the one in her book has the plague? 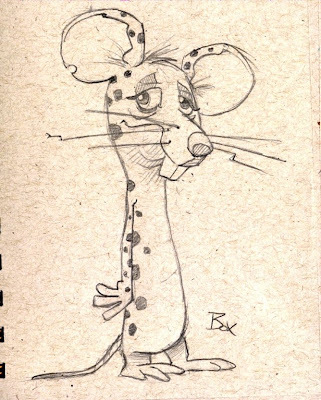 A dalmatian mouse? Are you sure it's not a rat?!! The book looks awesome! Beth, I see from the link that it is not your first children's book. I am heading to Amazon to check out what else you've got! Very very cool! Congratulations, Beth!! It looks great. I've got it on my Amazon WishList for now, not yet pre-ordered. Just adding what I can to my WishList in the hopes of winning the $25,000 shopping spree (which ends in two days, so I will pre-order after that!). Kudos all around! Love the artwork and the 'dalmatian' mouse! I'll get Nancy the West, Texas librarian to order it for our library..we have a great childrens section..and I'm sure it will be a big hit. That's fantastic! Super job, Beth! Congratulations to Beth! This looks like a great book for my little girl's library. This looks awesome! My kids will love it....pre-ordering now! Congrats Beth!! It looks totally cute! Congratulations Beth. This looks like a winner! Congratulations to Beth on her book. May she have a very successful writing career. I have a niece or six who would love this.. one is obsessed with stuff in her toes. I mean she PUTS stuff in her toes..and then tells us why. Great kid. Should be a Fox broadcaster when she grows up.